If you’ve been to Changi Airport Terminal 3 recently, you would have seen Europe rebuilt in cardboard. Discover Europe is an exhibition of cardboard replicas of European landmarks including those from Berlin, Moscow and Prague – it’s the work of Paper Carpenter, a company which creates 3D sculptures out of cardboard. 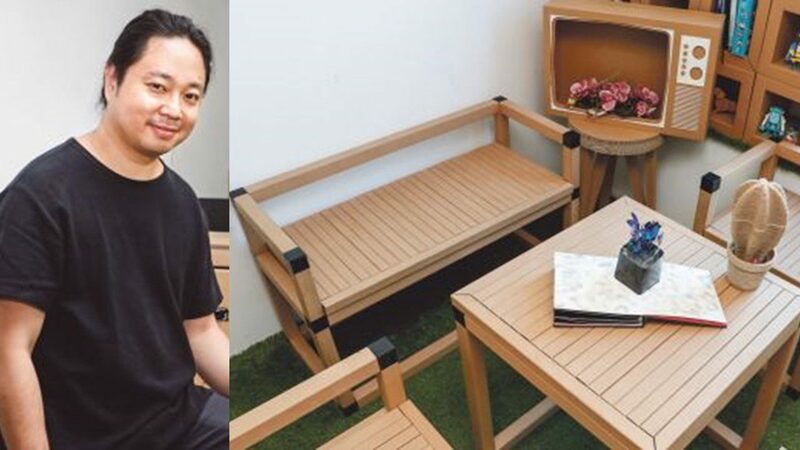 Founder Adrian Chua recently launched his PaperConnect collection, which uses hollow cardboard bars to create shelves, coffee tables and chairs. Each bar measures 48mm by 48mm by 2.3m in length, and costs S$12. They can be cut to length without any fancy equipment. This article was featured on The Business Times Weekend Magazine, 15-17 June 2018.